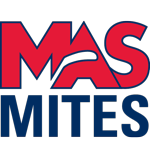 An outstanding group of coaches has been selected to lead the Mid-Atlantic Selects and Elite Advantage Hockey spring hockey teams as well as our summer hockey programs including Game Changer Summer Camps. The coaches are among the top in the region and bring a wealth of playing and coaching experience. A short bio on each coach is listed below. Mike is the President and Director of Hockey Operations for Tomorrow’s Ice, the Hockey Director for the Navy Youth Hockey program, and spent 16 years behind the bench as Head Coach for Calvert Hall College High School. While at CHC, Mike was named as a 2-time MAPHL Coach of the Year and has to most career wins in school history. Mike’s focus is geared toward keeping a team environment which will foster the positive development as both a person and a player. Mike earned a Bachelor’s Degree in Education from Towson University where he also played defense for the ACHA Division 1 Tigers. While at TU, the Tigers were ranked in the top 10 and earned their first ever berth to the ACHA National Tournament. Mike is a USA Hockey Certified Hockey Director. Ed grew up in Bel Air, MD and started his playing career with the Baltimore Stars. He then moved on to play junior hockey in the MJHL for both the Central Penn Panthers and the Summerset Jr. Chill located in Pittsburgh. After playing in the MJHL he then moved on to play Junior “A” in both the NAHL and OPJHL. He is currently the Hockey Director at Ice World in Abingdon, MD and has been involved in player development at the rink for well over a decade. Ed is also the Head Coach for Towson University and is in an Assistant Coach at Fallston High School. Ed is a USA Hockey Certified Hockey Director. Jason, who grew up in Bel Air, MD has an extraordinary hockey background, including serving as an Asst. Teaching Professional for Tomorrow's Ice and the Mid-Atlantic Selects. Jason enjoyed a great Prep careeer ar South Kent in Connecticut followed by an All-ECAC stint at Lebanon Valley College. Shortly thereafter he was selected to play professionally for the Rio Grande Valley in the Central Professional Hockey league and more recently the Trenton Titans of the highly competetive ECHL. Jason is a coach and skills instructor with Navy Youth Hockey as well as an Assistant Coach for Towson University. Jason is a USA Hockey Certified Hockey Director. A native of Baltimore, Bryan has playing experience at the NCAA and ACHA levels. Prior to his NCAA life, Bryan had success playing in the Jr ranks for such teams as the Florida Everblades, East Coast Eagles, Frederick Freeze, and the Kalkaska Rhinos. Bryan also works as part of the Wolfe Goalie Development team and has toured with Future Pros goalie prospects school. Bryan joined the Tomorrow's Ice staff in 2012. Additionally, Bryan is the Founder and President of Defending the Crease Goaltending. Joe, who grew up in Abingdon, MD began his career in the CBHL playing for the Harford Patriots, Baltimore Youth Hockey, and the Howard Huskies. As his playing career advanced he moved on to play AAA and Junior Hockey for the Little Flyers organization. Joe graduated from Calvert Hall where he enjoyed a great career winning several championships and individual player awards. Joe remains second on the Cardinals all-time scoring list doing so playing large portions of his time there as both a forward and a defensemen. Joe played his college hockey in the ACHA Division 1 with Towson University. In addition to serving as an Asst. Teaching Professional for Tomorrow's Ice and the Mid-Atlantic Selects. Joe spent time as an Assistant Varsity Coach at Calvert Hall and currently is coaching with Navy Youth Hockey and also serves as the Head Coach for the USNA Women's Team. Jeremy, who grew up in Lansdale, PA playing for the Hatfield Ice Dogs until 15U, before transitioning Tier 1 hockey with the Valley Forge Minutemen for 16U and 18U. He then continued his career playing for Towson University. Jeremy was named to the second team All-ECHA his Sophomore year, and then named to the First team All-ECHA his Junior and Senior years. Jeremy finished his playing career in 2018, with the most points by a defenseman in Towson University history, and is in the top 15 in ACHA D1 history. Jeremy then transitioned to coaching as an Assistant for Tomorrow’s Ice 13U and 14U TIDP teams for the 2018-2019 season. He is also involved in skill development for the Junior Blue Hens organization as well as a coach with the Mid-Atlantic Selects. Professional goalie training provided by Defending the Crease and/or Wolfe Hockey Development. Along with several of our coaches listed above our Girls Gotta Play Summer camp will also include the following coaches adding to our high level staff of elite hockey instructors. Tracy began her career as the women's ice hockey head coach in 2013-14 season after taking over the program in its second season. In recent years, Johnson has also spent time working at the USA Hockey Girls 14, Girls 16 and Girls 17 Development Camps. A 2010 graduate of Boston College, Johnson was a former standout defenseman for the Eagles, serving as a captain as senior season and assistant captain as a junior. She helped guide Boston College to a pair of appearances in the NCAA Division I Women's Ice Hockey Championship, highlighted by a spot in the 2007 Women's Frozen Four. A native of Plymouth, Minnesota, Johnson was twice named to the Hockey East All-Academic Team while also earning the Athletic Director's Award for Academic Achievement on three occasions. Prior to Stevenson, Harper was a volunteer assistant coach at Robert Morris University. A 2011 graduate of Mercyhurst College, Harper served as a student-manager for the Lakers during her freshman, sophomore and junior years. In her role as student-manager, she was in charge of video operations and other administrative duties. During her senior campaign, Harper was added to the roster for the Lakers as a goalie. In 2011, Harper received the CHA Student-Athlete of the Year award, posting a perfect 4.0 GPA as a history major. As a four-year affiliate of Mercyhurst, Harper and the Lakers took home four straight CHA championships. Before Robert Morris, Harper served as an on-ice instructor for USA Hockey and Mid-America district camps. She worked as an on-ice and off-ice conditioning coach at Okanagan Hockey Academy Europe in St. Pölten, Austria. The Okanagan Hockey Academy Europe provides a unique combination of a first-class Canadian hockey program along with an international education at a state of the art boarding facility.